FOREST BURNS: The fires broke out in wooded areas. MORE than 30 firefighters are battling to stabilise two wildfires on the Costa de la Luz in Cadiz. The larger blaze broke out just before 11.30am in the Cortijo de La Hoya area near the kite-surfing town of Tarifa, with a second reported a few hours later in close-by El Palancar. 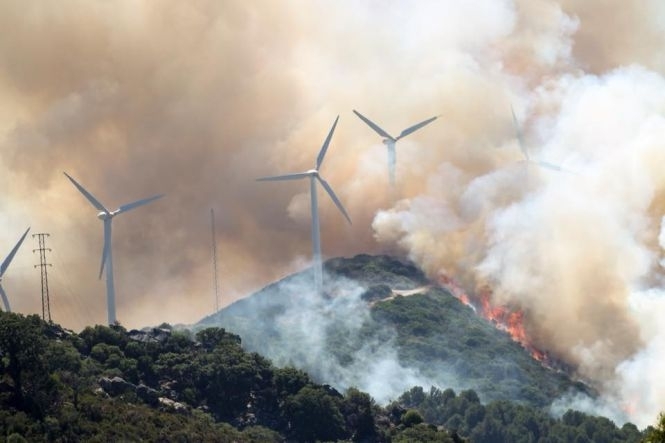 Three helicopters, four aeroplanes and a fire engine have been deployed to control the flames, according to Andalucia’s wildfire specialist service INFOCA.